Wow, Jade you are an amazing reader. I hope you'll like #40. I would like to meet you too. You can find out where I'll be next by clicking here. Jessie, good luck with your book talk. 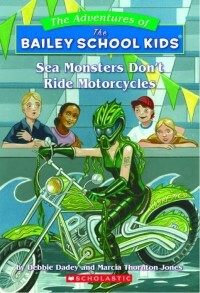 I agree, that the Bailey School Kids characters do have strange imaginations. They jump to conclusions very quickly! You might like to check out this page to help you in your talk. Elizabeth, your sister does sound a bit mean. But teenagers are going through so many changes it does make them grumpy sometimes. They usually grow out of it. I'm happy you like my books. Hi Tina, thanks for letting me know that Battle of the Best Friends is on Accelerated Reader (3.8 level). AR is a good program, but I hope that your school lets you read books that you want to read as well as books on your level. I'm so glad you like the Bailey School Kids books. Did you know there are some Super Specials and Holiday Specials that are longer? Hi Shreeya, I'm not sure what books are available to you in India. I'm very glad you like the Bailey School Kids books. Your librarian may be able to help you find other books that I've written. You can click here to see other series that I've done. 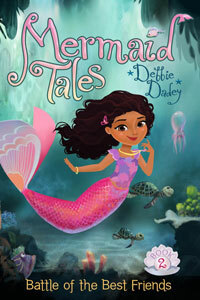 My newest series, Mermaid Tales, and the Keyholder series are available on Kindle, so if you don't have a bookstore or a library handy you might try that with your parent's permission. Happy Monday! Rachel, it's cool that you want to be an author. Here's my advice: write and read as much as you can. You might like to visit my writing page for more tips. Good luck! 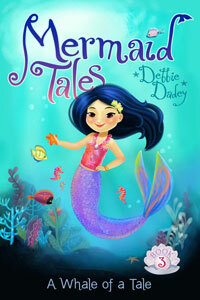 Nina, there is a number three to the Mermaid Tales series. It is A Whale of a Tale and it's brand new. I hope you'll like it!